“Time and change” are two key words in the alma mater of The Ohio State University, Carmen Ohio. Unfortunately, too many alumni, fans, and critics skip right past these words to belt out the last few syllables, O-HI-O. Also unfortunately, many alumni, fans, and critics forget about “time” and only want “change” whenever the football team experiences setbacks. Almost two years to the day Tressel was named head coach of The Ohio State University Football Team, he was laying lips on the Sears Trophy, awarded to the National Champion. Not too much noise was heard from the critics and doubters because their mouths were full of crow sandwiches. These same critics were later seen dressed in their fines sweater vests and gray rimmed glasses. 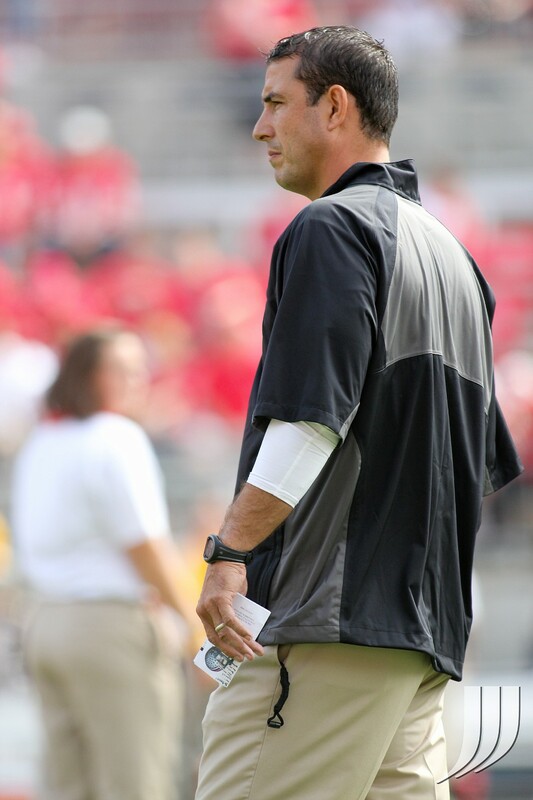 In their eyes, Jim Tressel could do no wrong. Prior to the start of training camp for this year’s Buckeyes, they faced down several encumbrances that no team expects heading into the preseason. This team lost their head coach, seven starters on defense, and their starting quarterback, who by the way accounted for 70 percent of their offense. Ask yourself this question. What would have happened to that 2001 Buckeyes team had Jim Tressel been faced with those circumstances? Two wrecked vehicles... or programs? Can you imagine being in the stands of Candlestick Park on that fateful day in October, 1989? I remember watching the World Series and seeing the picture go out. I remember the change in the quality of the audio as Al Michaels remained calm and tried to explain what was happening to the rest of the world. The World Series was delayed due to a term we call force majeure. One thing I know was that the reading on the Richter Scale was less than 10.1. Any college football fan is scratching his head while just reading that number. Does it sound familiar? Well it should. Two of the top programs face the NCAA Committee on Infractions because of violations of NCAA’s “10.1 Violation”. Loosely translated, this is when a college program fails to notify its compliance office when the coach of the program suspects a violation of NCAA laws. Call this College Football’s “earthquake”. The head coaches of The Ohio State University and University of Oregon are on the way to see the “dean” so to speak because they either committed a violation that needed to be reported or failed to report a violation, which itself is a violation. Now let’s take a peek at the cast of “Liar Liar 2″. Has College Sports Passed The NCAA By? “The NCAA was founded in 1906 to protect young people from the dangerous and exploitative athletics practices of the time.” These are not my words. These are the words found on the NCAA’s official website. However if you take the time to examine this statement, it resonates with hypocrisy. By its own admission, the NCAA was founded more than 100 years ago. Is there anything in existence today that is 100 years old that is not in need of renovation? I truly doubt that an office building constructed circa 1910 will be structurally sound enough to pass today’s stringent engineering standards. How many 100 year old cars do you see traveling today’s highways. If I live to see 100 years of age, will I be able to keep up with the times of 2071? I think you know where this is about to go. I’m not going to bore you with the innate history of the NCAA from 1906 to present, instead I will state some of the most common assumptions a college football enthusiast would make. College football and basketball were more recreation than entertainment when the NCAA was formed. None of the NCAA’s founding fathers could envision the level of technology their great grandchildren would invent in the new millennium. The revenue generated from these two sports has grown more in the last 20 years than in the previous 80 years. Under such assumptions, any other regulatory agency in existence may receive hundreds, if not thousands of overhauls during a 20 year period, not to mention during a 100 year period.